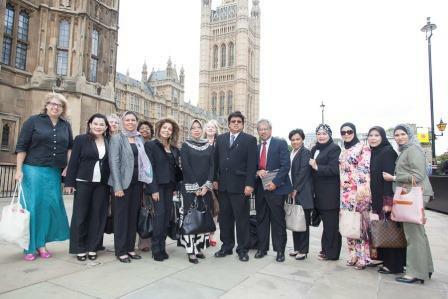 July 2013 saw a Malaysian and UK delegation embarking on a ground-breaking enterprise tour across England, UK to uncover opportunities to boost entrepreneurial sectors in Asia and Europe. 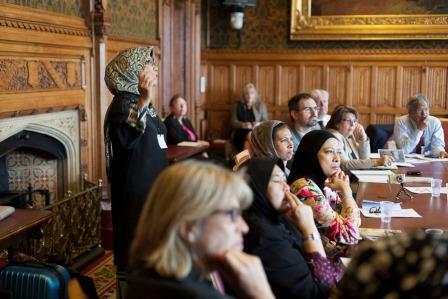 Launching at the House of Lords at London’s Westminster with a conference on economic prosperity through enterprise education, the demanding 4 day programme led the 20-strong group across England in search of best practice and opportunities for collaboration. Day two was spent at Oxford University, internationally renowned for its role in innovation and entrepreneurship, then the group headed North to Durham, Newcastle/Gateshead and Northumberland to explore social enterprise as a means to revitalising the economy. This inaugural ‘Knowledge Exchange Tour’ was the result of two years of planning by UK-based International Consultants for Entrepreneurship and Enterprise (ICE) and partners Corporate Capital Communications (CCC) of Malaysia. 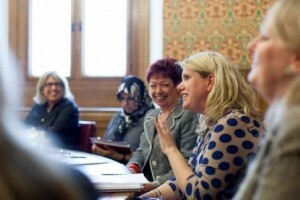 The two organisations set out to form a unique partnership in 2011 to drive forward their shared vision of supporting and promoting entrepreneurship and enterprise development in the Asia Pacific region, and the UK leg of the Knowledge Exchange Tour marked the beginning of their work together. The opportunity to exchange knowledge and experience, and to provide insights into enterprise and entrepreneurship, were key to the success of the Knowledge Exchange Programme. It is extremely gratifying, however, that by bringing together representatives of business from both continents new trading opportunities have also emerged. A market visit to Malaysia is now being planned for later this year as a follow-up, to further pursue discussions and take advantage of some of this new business potential. Martin Kay, Managing Director of Northumberland-based Bespoke Concrete products Limited is one business owner that has benefited, believing that the tour was a brilliant opportunity for him and his company on a number of levels. 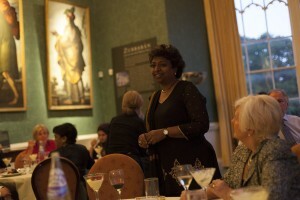 “Having now made connections with Malaysian colleagues I have already been put in touch with a potential Malaysian partner! I’ll now be pro-actively seeking to develop work for the business in Malaysia and will most definitely be taking part in the market visit from the region in November”. A key element of the Knowledge Exchange Programme was the exploration of social enterprise as a medium for economic recovery. Geof Cox, a social enterprise developer who has been involved in this arena for the past 30 years, set out the scale of the UK social enterprise sector during the first day of the tour. As an employer of more than 2 million people in the UK, Geof explained that it is estimated that social enterprises account for 688,000 businesses, with an estimated combined annual turnover of £163 billion. 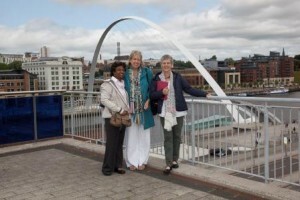 Linda Rutter, Founder of The Social Economist, joined the tour in Durham to continue the delegation’s examination of social enterprise. Linda accompanied ICE on a visit to Malaysia two years ago to commence discussions with Malaysian Ministerial Offices to convey her ideas about how social enterprise can add value to local, regional national and global agendas using cross cutting themes such as unemployment, business start up, growth and expansion, social inclusion, job creation and product and service development. 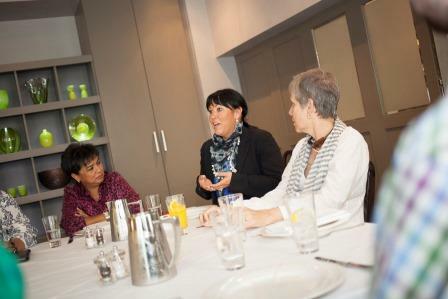 Linda recognised this most recent visit to the UK as a natural next step, providing delegates the opportunity to witness first-hand a variety of social enterprises action. Through a combination of powerful presentations during the day one Symposium on the subject of economic prosperity through enterprise education, followed by an enlightening visit to Oxford University on day two, delegates took the opportunity to absorb themselves in the UK enterprise education agenda during the tour. It quickly became evident that best practice exchange and future collaborations would emerge from early discussions between delegates, and that these are likely to lead to new approaches within Malaysian Universities which, as in the UK, have a pressing need to adapt to the challenge of economic, global and domestic uncertainty. Two approaches emerged as significant opportunities for knowledge exchange, to drive forward entrepreneurship in Universities: the development of entrepreneurial leadership to accelerate and enable change; and the need to engage more purposefully with business than has been traditionally been practised in the past. In Oxford, delegates met with Paul Coyle and Gay Haskins, Co-Directors of the highly respected Entrepreneurial University Leaders Programme (EULP), a pioneering executive development programme for senior university leaders. The programme was developed by Allan Gibb OBE and is delivered by NCEE and Universities UK, in partnership with Saïd Business School, University of Oxford. Vice Chancellor/President Universiti Teknologi of Malaysia, Tan Sri Dato Sri Prof Ir Dr Sahol Hamid Abu Bakar, believes that the programme is highly relevant, particularly as his University won Entrepreneurial University of the Year in Malaysia for 2013, and he is now intent on developing strategic alliances to enable delivery of the EULP programme to build on this success. As a first step, he will be presenting a case study of the Universiti Teknologi via a live video link on the 2014 UK programme. 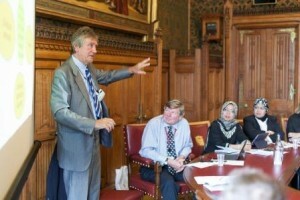 As well as his key role in initiating the EULP, Professor Allan Gibb OBE, Emeritus Professor of Entrepreneurship and Small Business at Durham University, spoke during the House of Lords Symposium of the need for Universities, and other organisations such as banks that aspire to support the growth of business, to understand more readily the practice of enterprise and entrepreneurs and ‘where entrepreneurs learn’. Professor Gibb explained that this change of approach will improve Universities’ ability to engage with, and support, entrepreneurship. To read more about Professor Gibb’s presentation on ‘the challenge of working with SMEs’ please click here. Leigh Sear, Chief Executive of SFEDI Solutions, also expressed satisfaction at how much he had gained from exchanging experiences with Malaysian delegates on the theme of embedding businesses into the development of enterprise education, observing a number of synergies; “It is clear that there are similarities in the challenges and opportunities associated with bringing together businesses and enterprise educators in both countries, for example in developing networks and relationships for both the learners and businesses. To this end, the Chair of SFEDI Group and I will be visiting Malaysia in the near future to continue our initial discussions and explore opportunities for joint-working”. Adding to these obvious successes, discussions are also now underway for ICECAP to co-host an Enterprise in Higher Education Conference in Kuala Lumpur, Malaysia during the Spring of 2014 to bring together specialist and practitioners of entrepreneurial learning to build on the key components of the Knowledge Exchange Programme.